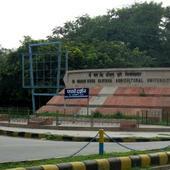 HAU was initially a campus of Punjab Agricultural University, Ludhiana. After the formation of Haryana in 1966, it became an autonomous institution on February 2, 1970 through a Presidential Ordinance, later ratified as Haryana and Punjab Agricultural Universities Act, 1970, passed by the Lok Sabha on March 29, 1970. A. L. Fletcher, the first Vice-Chancellor of the university, was instrumental in its initial growth and established it as a leader among agricultural universities in India. HAU has a sprawling campus that is very scenic and is regularly visited by local people for morning and evening walks. The buildings are well-designed with a modern external as well as internal architecture. There is a Central Campus Core formed by Fletcher Bhawan, Gandhi Bhawan, Nehru Library and Indira Gandhi Auditorium, around which the other buildings and facilities are built. 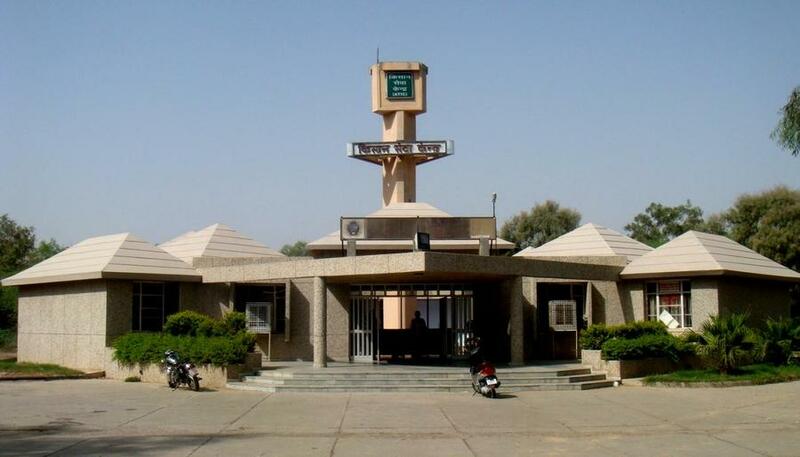 The university has a total land of 29.15 km² (1291 km² at the main campus at Hisar, 10.68 km² Seed Production Farm at Hisar, and 5.56 km² at outstations). There are two additional Colleges of Agriculture at Kaul (near Kurukshetra) and Bawal (near Rewari). 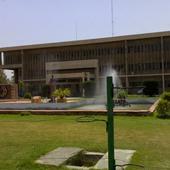 * Nehru Library, a huge collection of 300,000 books and 700 journals in a floor area of 100,000 square feet. * Fletcher Bhawan, the administrative block. * Gandhi Bhawan, serving as the Directorate of Extension Education. * Giri Centre, a modern facility acting as students' activity and welfare center; has badminton courts, squash courts, a synthetic track, an Olympic-size swimming pool, and a large indoor gymnasium. * Campus Hospital, a 50-bed hospital for the university community. * Campus School for the children of the faculty. * Faculty Club and Faculty House. * Farmers' Hostel and Kisan Ashram for visiting farmers. * Extensive Hostel facilities for students enrolled in the university. * Residential Buildings (970 at Hisar and 242 at outstations) of different sizes for staff and faculty. * Shopping Centre with grocery shops, banks, post office, book stores etc. Directorate of Students’ Welfare is responsible for making arrangement for the housing, sports and welfare of the students and various activities other than academic work. This directorate provides the programme of students’counselling and assists in the placement of graduates of the University. This Directorate also organizes and contact with the alumni’s of the University. This directorate also supervises the extra co-curricular activities of the students. Some of the important activities funded by DSW are: Music Club, Dramatics Club, Literary Club, Graphic Art Club, Mountaineering Club HAUMC website, National Cadet Corps (NCC), National Social Service (NSS) and Sports. The university has a wide variety of programmes to offer. Admission to the undergraduate programmes (except B.Sc. Home Science) is through a Common Entrance Test that includes questions on Physics, Chemistry and Biology/Mathematics/Agriculture. Admission is offered in July in order of merit in two counselling sessions. 75% of positions are offered to residents of Haryana, and the rest 25% are filled through an all-India entrance test organized by the Indian Council of Agricultural Research. 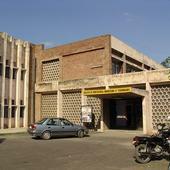 The university publishes the largest number of research papers among agricultural universities in India. It has four official publications: HAU Journal of Research, Haryana Veterinarian, Haryana Kheti, and Thesis Abstracts. A Kisan Mela (Farmers' Fair) is organized every year in March to promote the spread of agricultural technology among farmers. Over the years, HAU has released several varieties of wheat, rice, millets, forage crops, cash crops like sugarcane, cotton and oilseeds, vegetables and medicinal plants. 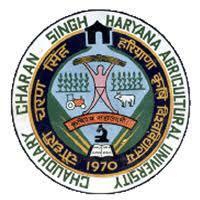 Chaudhary Charan Singh Haryana Agricultural University, Hisar has 11 affiliated Colleges. Click here to explore them. 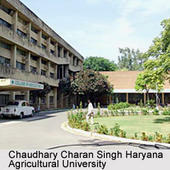 Chaudhary Charan Singh Haryana Agricultural University, Hisar has 48 Departments listed that offer various academic courses. Are you Interested in studying at Chaudhary Charan Singh Haryana Agricultural University, Hisar?